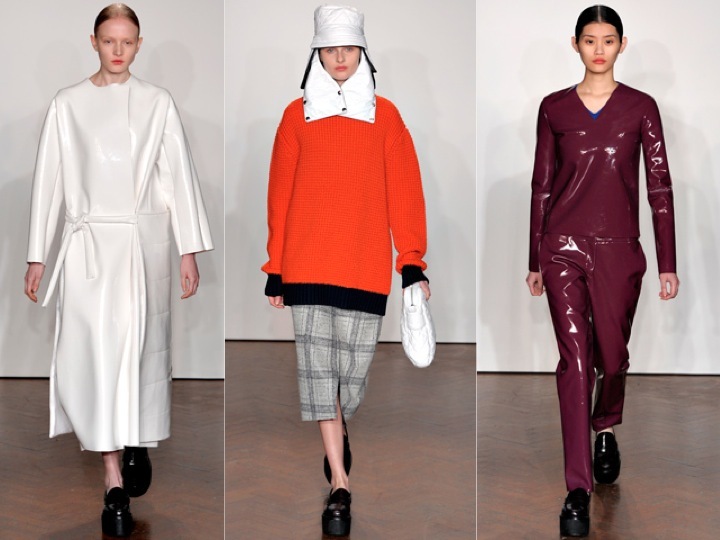 Performance fashion was well underway at London Fashion week; and we're not just talking about Meadham Kirchhoff but Stella McCartney too. Whether you were razzled and dazzled by the floating sequins at Burberry, or taken into the Meadham Kirchoff portal of psychedelia, or even invited to dine whilst seeing Alexa Chung balanced on knives on behalf of Stalla McCartney; London fashion week had something eccentric to offer for all. Now a drum roll for my top 3 collections (shame you can't do performance blogging)-you probably can sense a blaze of hypnotic luminous colours about to radiate through the computer screen, and you're not wrong. 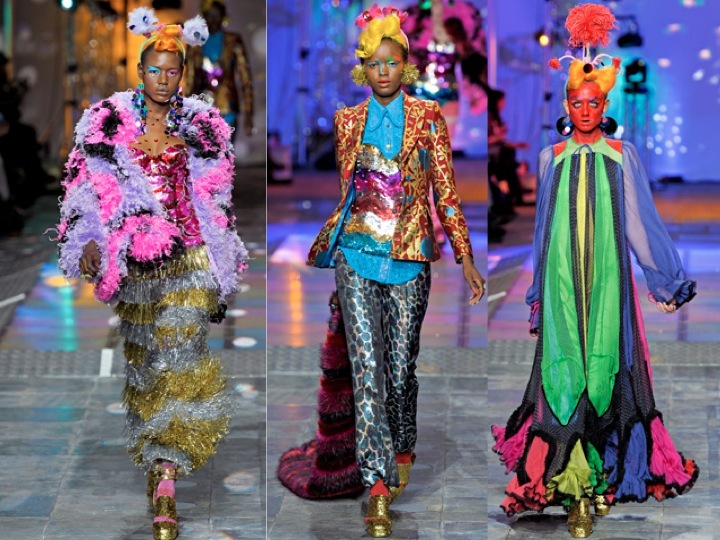 A funkadelic show of tinsel, glitter, florescence and pure fun. 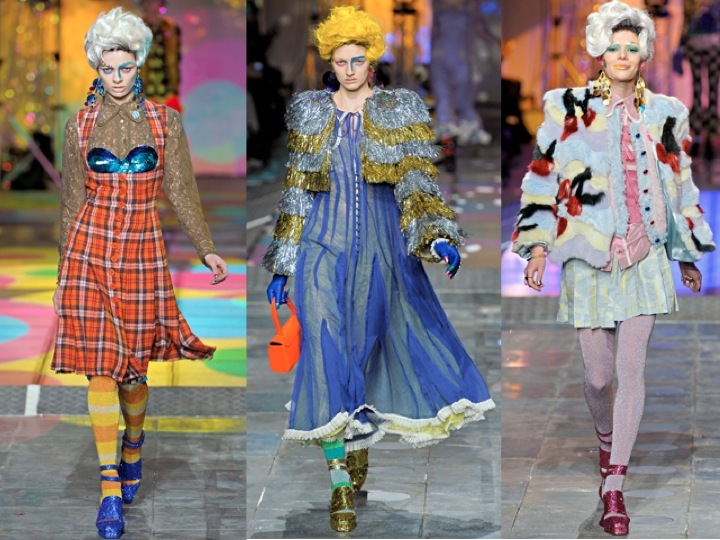 Meadham Kirchhoff never fail to keep dazzling prints matched by tailored perfection. This season we were transported into the ecstacy of the 70's, completely contrasting to the bleak cold English weather outside- thank god. 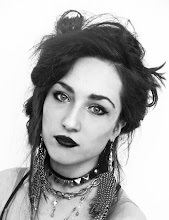 If the clothes were not enough, a 'smiley' face would glimmer through the audience as of a result of the wonderful kitsch tune of The Rocky horror and Abba that was played. 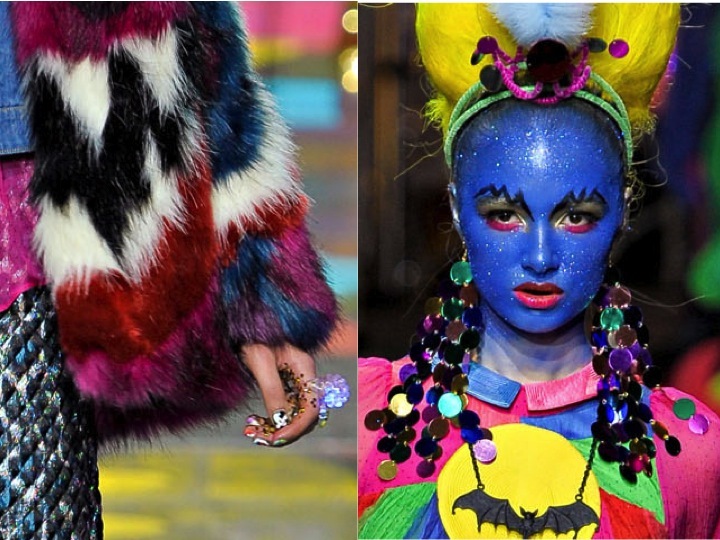 The reason why, it's the disco the disco Meadham and Kirchhoff wish existed. Next Christmas we could end up being the tinsel covered Christmas trees with designs like this hypnotising us- not a bad thing. 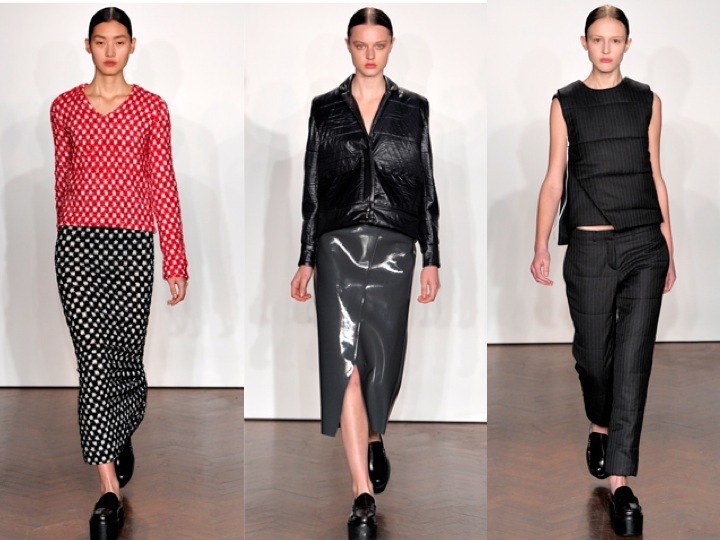 Straight-down skirts, oversized jumpers, and long skater skirts-androgyny still at its height. Perhaps the reason for this, was Anderson's theme 'Chambers of Isolation', about a housewife's confinement through domesticity. Therefore Anderson transformed the calamity of appliances into garments, representing the imprisonment of the isolation. Thus, ironically transformingn into an androgynous collection. 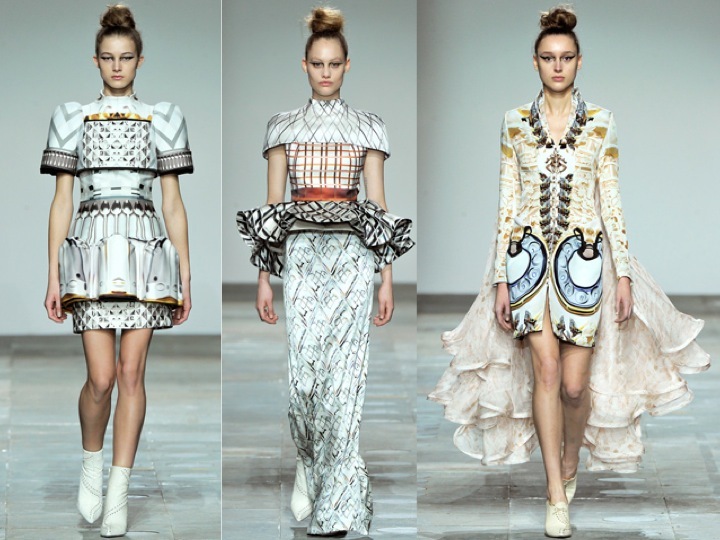 Mary Katrantzou, the designer that has taken the fashion world by storm- you could say literally with reference to her trompe l'oeil prints.Katrantzou kept the stiff and structure cuts,but this time it was much more McQueen with using Victorian and Elizabethan shapes- such as corsets, bustled dresses and ruffles. 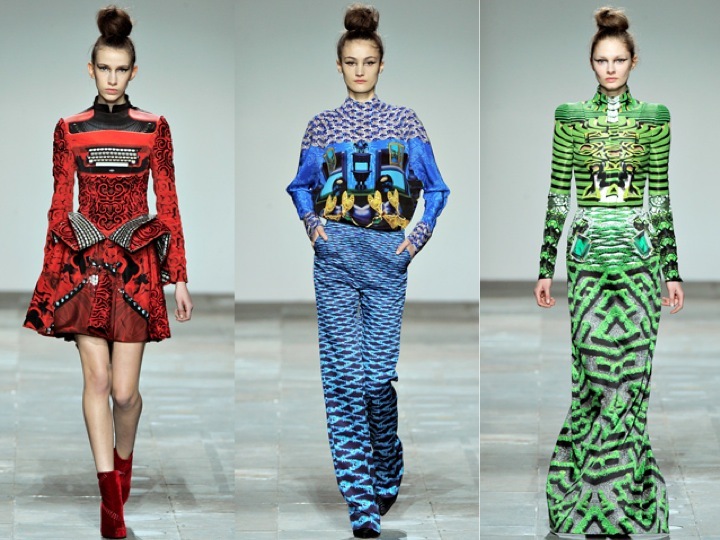 The stereotypes of the shape contrasting to her lively prints. Mary Katrantzou will be collaborating with Longchamp, the possible designs entering my mind are beyond desirable.